The importance of being prepared for a number of chaotic situations should be a priority to anyone who cares about their well being and those they care for. 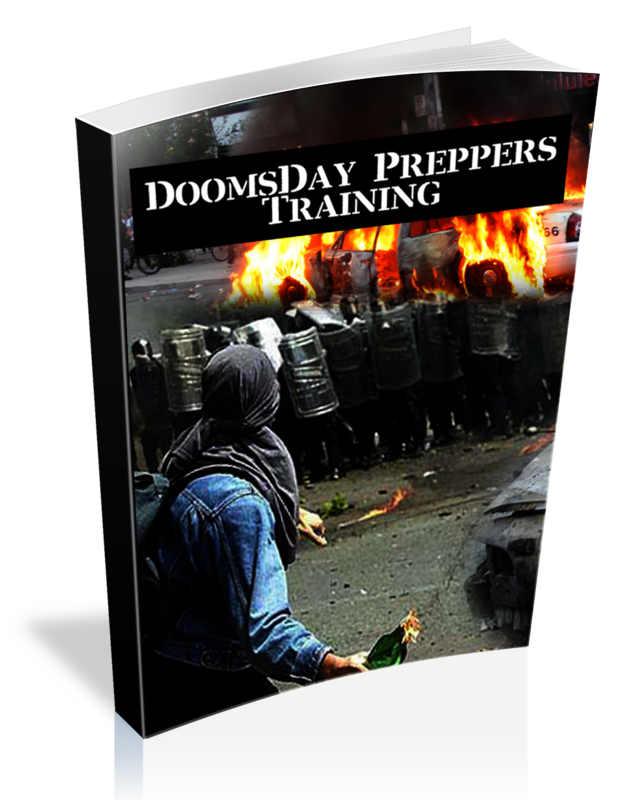 Whether you fear a government takeover, financial collapse, terrorist attack or natural disaster, having the knowledge and training to survive any of these must be top on your list. 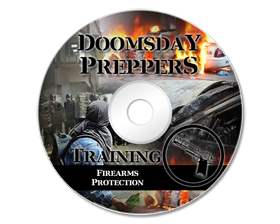 The problem is that there is so much info you must know to protect and prepare for yourself and family, it can be a part time job just to find the information and resources for training you need for survival. 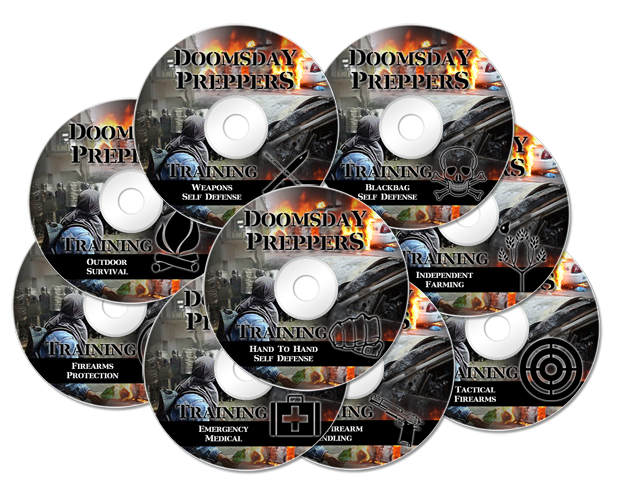 Random Youtube prepper clips and short articles in survival magazines don’t do most of the topics you need to learn their justice, leaving you dazed and confused. You end of giving up before really starting up, putting you in the same place you started, just more frustrated. THIS INFORMATION CAN’T BE FOUND ANYWHERE TOGETHER IN STORES OR ON THE NET! This video training series is powerful, packed with need to know information which can keep you safe, secure and even living off the grid. You won’t find this kind of training offered all in one place, except here. There is no need to attend the nine days of in person training it took to cover all of the information these five experts taught. We have painstakingly filmed every second in high definition with multiple cameras, and had it professionally edited. Our film crew followed the instructors in the classroom, outdoors and on the gun range to make sure you’ll get every bit of tips, tricks and training the experts gave. As a result, we have created 9 online DVDs which you can purchase and start watching immediately. You can watch these videos on your computer, download them to a disc, and now even watch them on your portable device, tablet or smart phone (perfect when you take them outdoors or to the range)… try to do that with DVDs! That’s right, no more DVDs to lose, get broken or lost. Our online viewing format gives you your own passcode to watch the videos right after purchasing in an easy and organized fashion (unlike random web clips and tv shows). Plus, the best part is that our online format keeps the price to a minimum! Nine DVDs at $20 apiece would easily cost you over $200 with shipping and handling. By ordering now you will get access to the online DVDs for $67. That is about 70% off the regular DVD price! The 10 moves you have to learn ASAP! The 5 ranges of fighting, any attacker can use against you! How to use "natural" strong points in the body, even if you are attacked by someone bigger and stronger! What do do immediately with head injuries/concussions. What are the household items you need to care for fractures, both long bone and smaller bones, penetrating trauma. What to do for soft tissue injuries including minor cuts and major bleeding, simple sprains and strains to ligament/tendon tears. With each type of condition presented he will also present the basic first aid that people can do to assist the injured. How to put together a medical pack which will take care of most aliments, including hypothermia, dehydration and shock, in addition to the items listed above. Do not go without this highly intensive part of the seminar which could save your or someone else’s’ life! Target placement, where is the best place to shoot an attacker Much, much more! Learn what are the three types of weapons. Find out the two main weapons situations you could be in. How to disarm anyone with a stick or knife. Know what the three steps are to disarm anyone with a gun. Elivate your sense of timing and disatancing when it counts! Acquire the one weapons secret which will put you light years ahead of seasoned vetrans. Learn how to make a pocket sized survival pack. Find out how to start a fire easily. Know how to make a compass so you never get lost. Absorb the three pillars of outdoors survial and why they will save your life! Learn the six basic survival skills for any kind of weather and terrain. Develop the survivalist mindset with specific strategies. Learn what to do when your life is on the line, and you need to take someone out of commission. Discover how to even up size and strength mismatches. Know how to injure to a degree, and raise the pain threashold! Build on the previous phase knowledge to outsmart a trained boxer, kick boxer or grappler. Find out how to manipulate the most sensative and devistating ares on your opponent’s body. Tons of LIVE range footage! GET ALL THREE PHASES – ALL NINE MODULES FOR $69 AND START WATCHING NOW! WHEN ORDERING THIS COMBO PACK YOU’LL ALSO GET THE EBOOK OF HANDOUTS ALL ATTENDEES RECEIVED! THIS INFORMATION CAN’T BE FOUND ANYWHERE ELSE IN STORES OR ON THE NET!